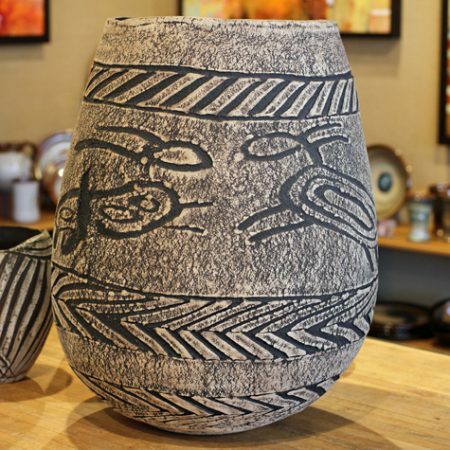 A fourth generation Californian, Mark developed an interest in ceramics while attending California State University Fullerton. 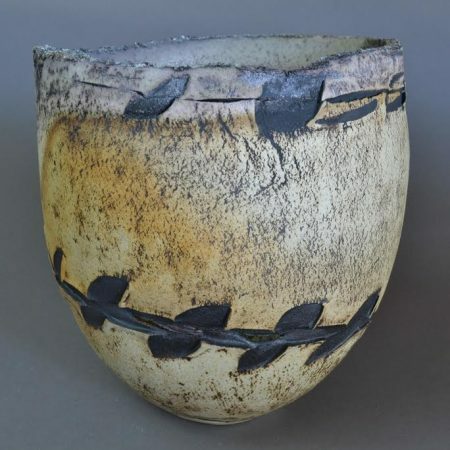 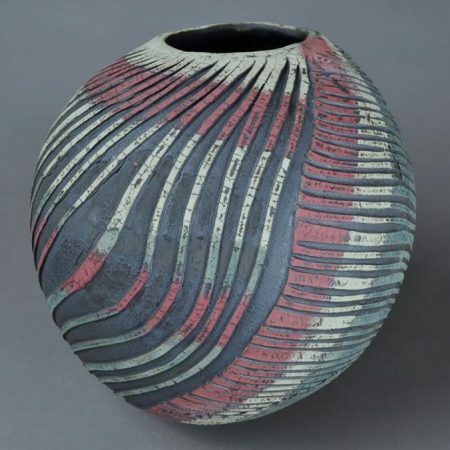 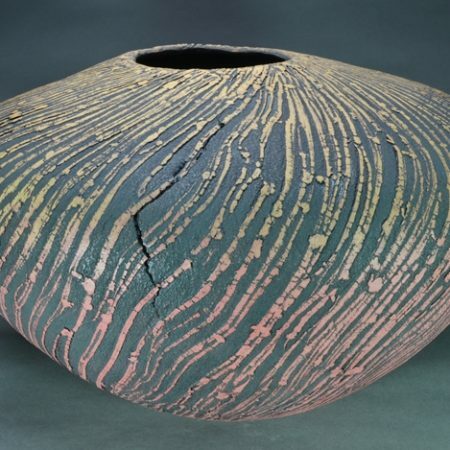 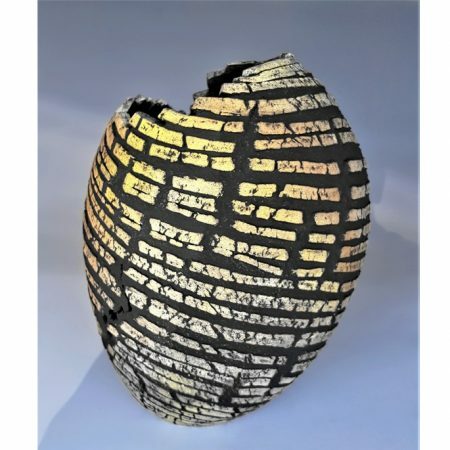 Captivated by ancient looking art and art relics, Mark began experimenting with hand stretching clay, achieving unusual and exciting results by relying on the clay’s natural and random tendencies to rip, tear and create stretch marks. 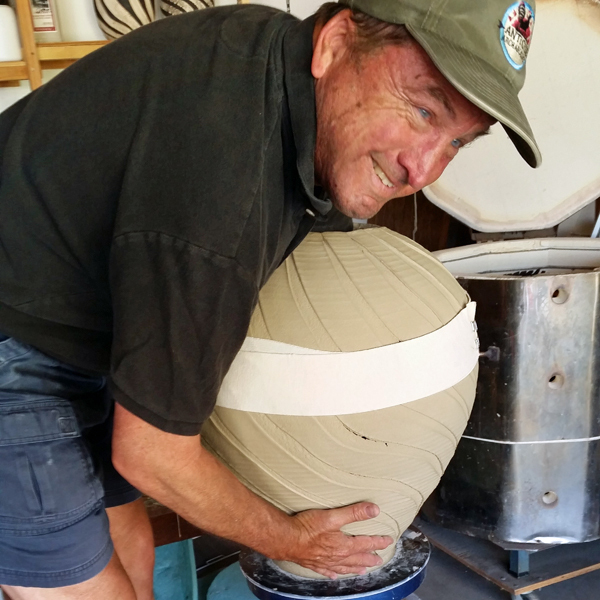 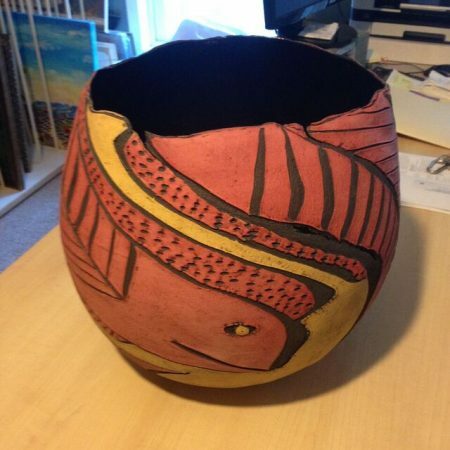 Mark continues to use this technique to give his ceramic pottery and sculpture a unique and original look. 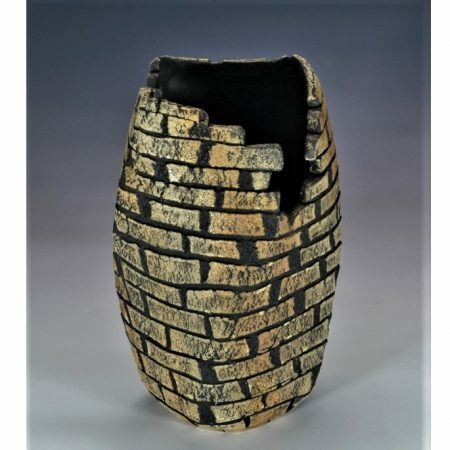 For his larger pieces, Mark cuts a rectangular shape out of a clay slab and rolls it over a tube to form a crude cylinder. 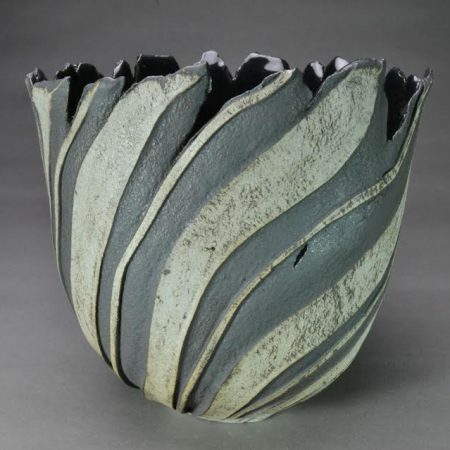 He then joins and reinforces the edges and adds a bottom. 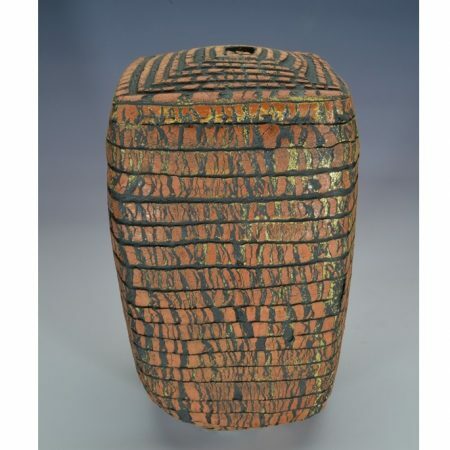 This basic cylindrical form is now ready for a design element, which is inscribed using one of many assorted tools. 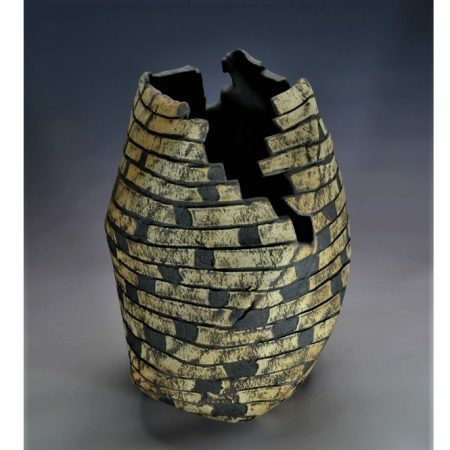 The piece is then to be shaped and engineered, using fingers and rubber ribs, into a unique one-of-a-kind clay form. 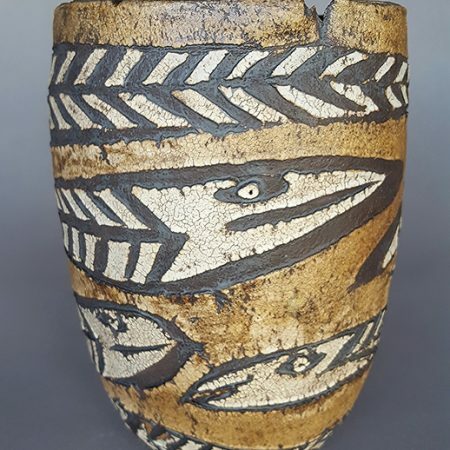 Smaller pottery shapes are made from a solid clay cylinder into which he inserts a dowel, compresses the sides until achieving the desired wall thickness, then incises a design element. 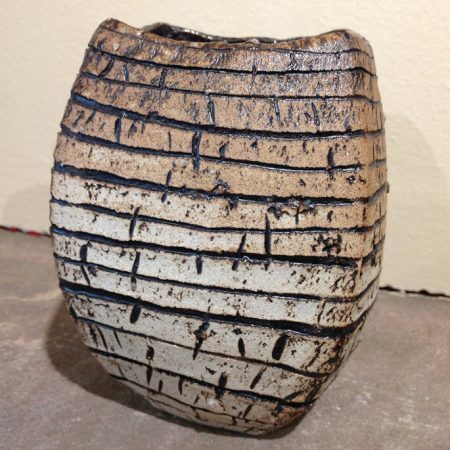 Using stick-like tools, he then stretches the clay into the desired shape.